Support for people in cyclone ravaged Malawi, Mozambique and Zimbabwe continues in the form of search and rescue efforts as well as donations of food, medical supplies and other essentials from across the southern African region. One such appeal covers the region and will be officially launched in Windhoek on Thursday by the chair of the Southern African Development Community (SADC), Namibian president Dr Hage G. Geingob. According to an SADC statement “the regional appeal will be a formal regional request to the international community to provide assistance to affected member states requiring immediate humanitarian assistance”. Included in the list of needed items and services are food, shelter, clothing, potable water, sanitation and medical support, considering the occurrence for cholera and other diarrhoea infections, malaria and water borne and water related diseases. While the official South African government response has been in the form of aircraft and associated manpower from the SA Air Force (SAAF), International Relations and Co-operation Minister Lindiwe Sisulu appealed to all South Africans for donations to help people whose lives were affected by Idai. This has been boosted by the work of Pietermaritzburg headquartered NGO Gift of the Givers, which has had chartered aircraft regularly deliver much needed humanitarian aid to Mozambique over the last two weeks. The landward force of the national defence force – the SA Army – is collecting food, clothing and medical supplies for delivery to the people of Beira and surrounds. This follows an appeal by Army Chief Lieutenant General Lindile Yam to all SA Army directorates, formations and brigades as well as women in the army to donate clothing and non-perishable foodstuffs. Whatever is donated will be handed to organisations, mainly NGOs, on the ground in northern Mozambique next week for further distribution. Paramount K9 Solutions, part of the Paramount Group, deployed its specialist K9 search and rescue unit to flood-hit eastern Zimbabwe in the aftermath of Idai. The unit returned to South Africa this week after “having a significant role in rescue and recovery operations” a company statement said. Paramount Group and its charitable foundation, the Ichikowitz Family Foundation, commissioned and funded deployment of two specialist search and rescue units from the K9 Search and Rescue Association of Southern Africa to Chimanimani, one of the hardest-hit regions in Zimbabwe. Four handlers, volunteers from the K9 Search and Rescue Association of Southern Africa, together with two trained border collies searched for bodies in extreme conditions, in tandem with Zimbabwe’s Civil Protection Units, the International Rescue Committee and the South Africa’s Police Services. “We are proud to have been part of bolstering the efforts of the Zimbabwean government and humanitarian organisations in providing the capabilities required to complete the grim task of recovering bodies. 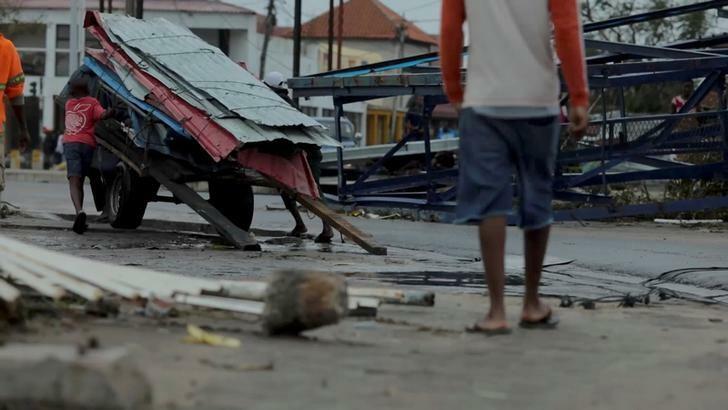 The aftermath of Cyclone Idai presented all rescue and recovery teams with exceptional challenges due to the damage to roads and other infrastructure. “Our teams found most bodies buried under layers of rock and mud. Recovering bodies under such circumstances would be near impossible without specialist dogs and handlers. This is what the K9 search and rescue units train for and I’m confident their efforts will be remembered long after their return. We look forward to further contributing to disaster and humanitarian relief efforts in an innovative way and as best K9 search and rescue units can support,” said Eric Ichikowitz, Ichikowitz Family Foundation director.